Not Just Another Mother Blogger! : Now With More Sand! The beach and I have generally had a love-hate relationship. I love walking along the water line early in the morning. I hate stepping on jellyfish and some sort of unidentifiable icky thing that gives me the dry heaves. I love building sand castles. I love listening to the waves roll in, and sometimes standing in the surf. I hate not being able to see what is in those waves. Thank you, Stephen Spielberg! After several attempts to work on our relationship, the beach and I parted ways amicably. I didn't even request joint custody of the sand. We didn't travel when Zane was younger because we weren't sure how he would do sitting for lengthy periods in his car seat, or how he would deal with sleeping in a strange bed, or what he would eat if there were no chicken nuggets or waffles to be found. We decided this summer that it was time to try a "mini" vacation of a couple of days to see how the boy did. Our first little trip, to Grapevine, Texas(did not actually see any grapevines, but still a very nice town), was a rousing success. This encouraged my husband to suggest a second short trip, this time to Corpus Christi. "That sounds great," I said, but I was thinking about the sand. "Why is your eye twitching like that?" Larry asked me. Once I got over the idea of all the sand, I got a little excited about our trip. It would be my son's very first trip to the beach! I was also very excited that it was my husband who suggested that we go, because he doesn't really like to be outside of his comfort zone. We explained to Zane that we were going to the beach a few days early, to get him used to the idea. This was a mistake, since three-year-olds have not adapted to the concept of time, and most of them do not understand words like "tomorrow", "next week", or even "five minutes". It's funny how we as adults take those words for granted. But Zane was very excited about the trip, and he talked about the beach every day like we were going that day. Then it was time to pack. I picked out some toys for Zane to take with him. "No," my boy told me. "No." Zane repeated. "Shark will eat them." We drove to Corpus Christi, which is the closest beach from where we live. The first day we were there, we went to the Texas State Aquarium(we had to see Dory and Nemo), the USS Lexington, and then we went to a beach that was actually in Corpus Christi. Zane loved it. He liked the waves and how the water seemed to chase him where ever he went. 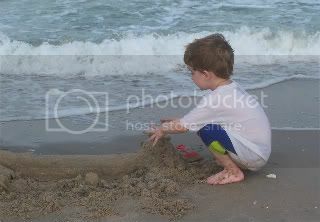 Larry had had the idea that he and Zane could build sandcastles together; Zane liked the idea, but wasn't all that into actual construction. No, my child was all about the waves and the water. We got tired of yelling at him not to go to far out, so I sat beside him. All around us, the sand was pulled inexorably into the ocean. This too was wondrous for Zane. 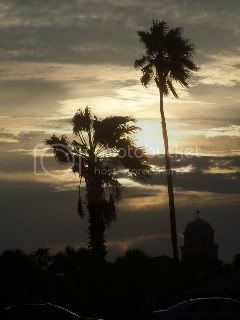 We stayed at the beach in Corpus until the sun was almost out of the sky. When we got back to the car, the sand had followed us. We attempted to dust off as much as we could, but it was a futile effort. We drove back to the hotel, and after showering and rinsing all of our clothes, we figured that we had removed at least a gallon of sand from the beach. That did not include the amount of sand that we left in the car. And it was only our first day! The sand thing will last a while. Oh well, better than finding red ants. Aside from lingering sand that sounds beautiful. Playing in the childhood has great memories of life. The topdissertations are providing great help to me in solving my educational assignments.